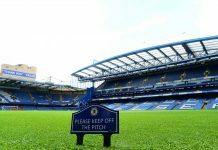 Home CFCnet North Stand How Would a Double Rank Among Chelsea’s Achievements? 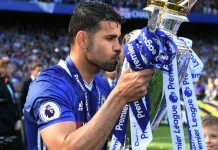 How Would a Double Rank Among Chelsea’s Achievements? If you look at the respective first-season performances of stellar managers like Pep Guardiola and Jurgen Klopp, it is apparent that the Premier League has a justified reputation as the most challenging competition in the footballing realm. This does not mean that it is necessarily the best league in the world, of course, but it is certainly the most competitive and one that provides the greatest test of a manager’s mettle. With this in mind, Antonio Conte stands on the brink of achieving an incredible double in his maiden EPL season, with Chelsea four points clear in the Premier League and ready for an FA Cup final with Arsenal. But where would such an achievement rank on Chelsea’s list of achievements? How Has Chelsea’s Season Unfolded? While Spurs offer the only real value to punters in the title race, the spread betting tips at this site will reassert that Chelsea remain the team most likely to win the League this year. After a disappointing start that included a humiliating 3-0 reversal at Arsenal, Conte’s Blues have won an astonishing 23 games from just 28 outings, claiming 71 points from a possible 84 in the process. 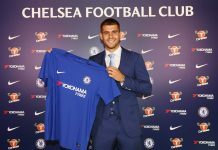 This also included a record-equalling run of 13 consecutive league games during the autumn and winter months, which established the Blues’ title charge a coincided with the introduction of Conte’s trademark 3-4-3 system. 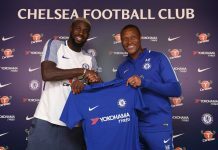 Freed from the rigours of European competition, Chelsea’s fresh and injury-free squad has also been able to mount a successful challenge on two fronts. This has resulted in an impressive FA Cup run, including a 1-0 victory over Manchester United at Stamford Bridge and a clinical 4-2 win against Spurs at Wembley in the semi-finals. 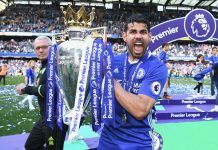 With the Blues in imperious form as the end of the season approaches, few would bet against them claiming a truly superb double triumph. Such a success would not be without precedent, of course, even for managers in their debut season. Manuel Pellegrini won the League and FA Cup double with Manchester City in his first season at the club in 2014, for example, after inheriting a talented squad that was looking to bounce back from a disappointing season. Former Chelsea boss Jose Mourinho also achieved the same feat in his first season in English football back in 2005. The Blues recorded a record 95 points from 38 games that term, so clearly there are several rivals who can claim to match Conte’s achievements this term. When you consider the status of the FA Cup and the nature of Chelsea’s performances last season, however, securing a double this time around would arguably top anything that we have seen in the modern age. It arguably marks Conte’s finest hour too, despite the relentless success at Juventus. After all, a league and cup double will come against the backdrop of incredible spending by both Manchester clubs, while Conte will also have succeeded in his debut season where managers such as Guardiola, Klopp and Pochettino have failed. Next articleThat was the week that was . . .